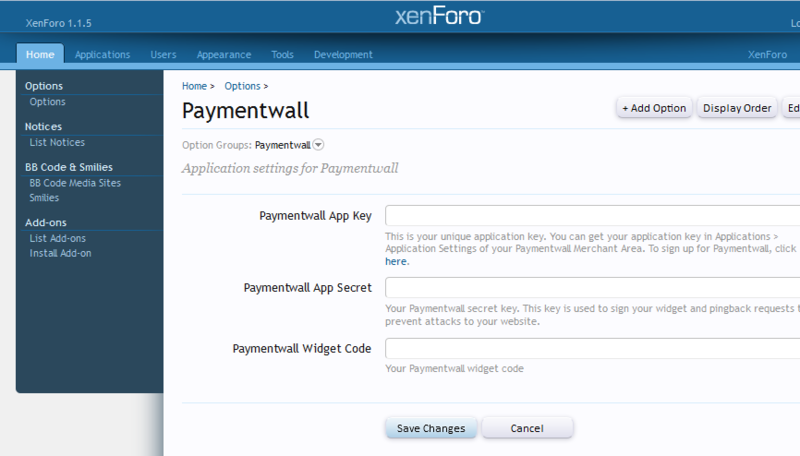 Important: Paymentwall for XenForo requires [bd] Paygates. Before installing Paymentwall for XenForo, please make sure your site has Paygates installed by visiting this link. If you don't have a Paymentwall Merchant Account yet, please Sign Up. Press the Continue button. 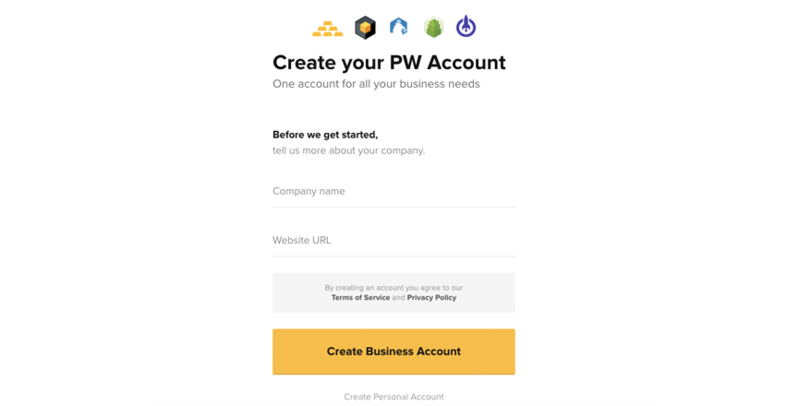 Your Paymentwall Merchant Account has been created. 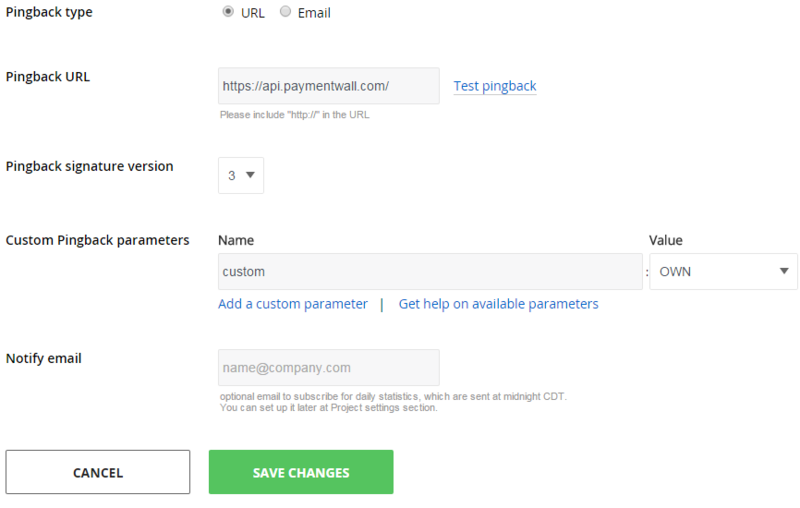 Add the Custom Pingback parameter with custom at Name, and OWN at Value. Unzip PaymentwallforXenForo.zip and upload the contents of the upload folder onto your project, preserving the file locations. 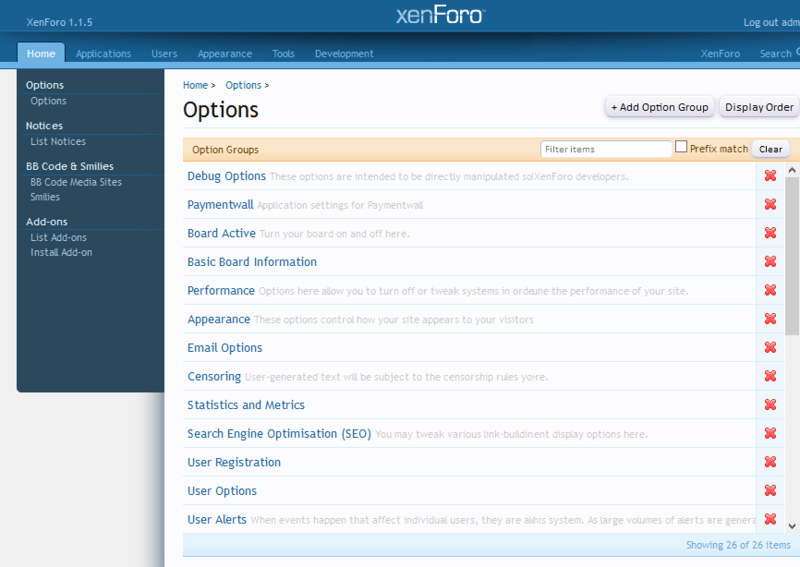 On your XF Admin control panel, go to Home -> Install Add-on, browse and install addon-Paymentwall.xml. Go to Home -> Options, and click Paymentwall from the Option groups. Enter the project key, secret key, and widget code from your Paymentwall Merchant Area. 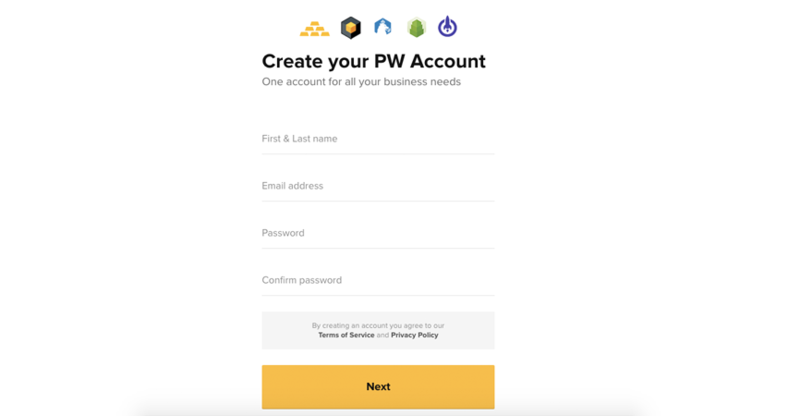 Once all the settings have been properly configured, go back to your Paymentwall Merchant Area -> My Projects and submit the project for approval by clicking the Submit For Review button.